TOTAL GUT! 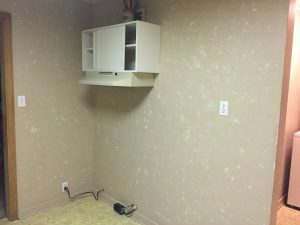 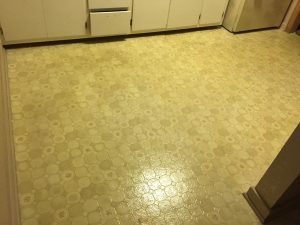 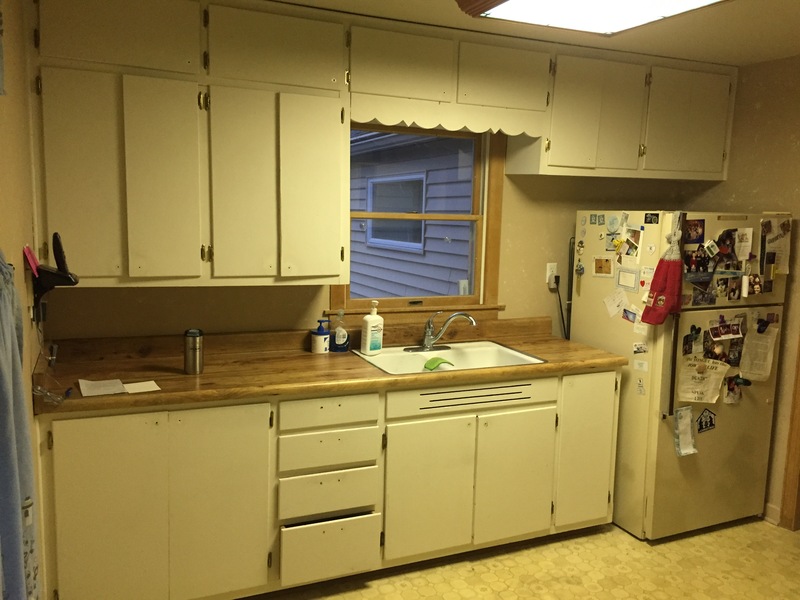 We addressed every aspect of this outdated kitchen. 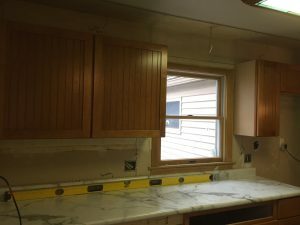 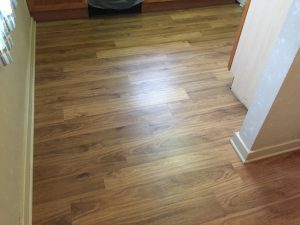 The first step was to remove all existing cabinetry to create a clean slate. 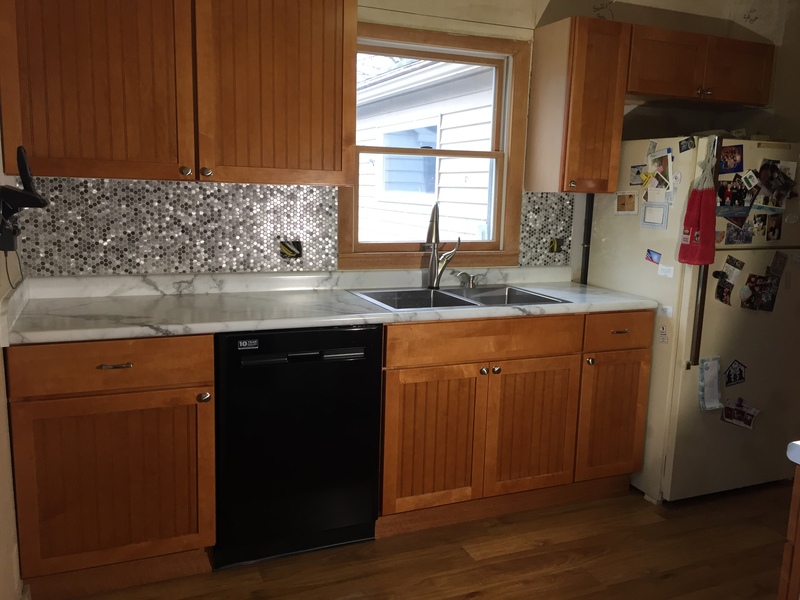 All new high-quality Medallion cabinets were installed, featuring bead-board style solid maple doors in a hazelnut finish. 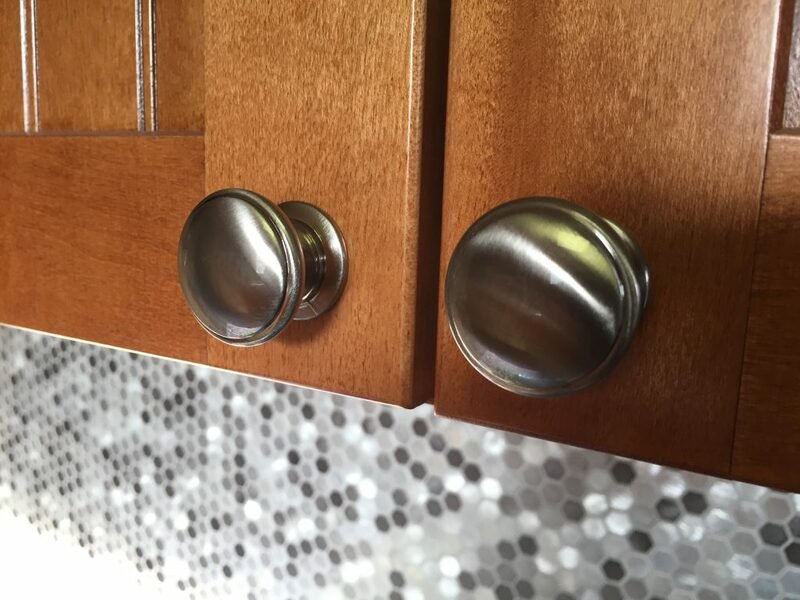 I installed solid brushed nickel hardware to accent the look – nice! 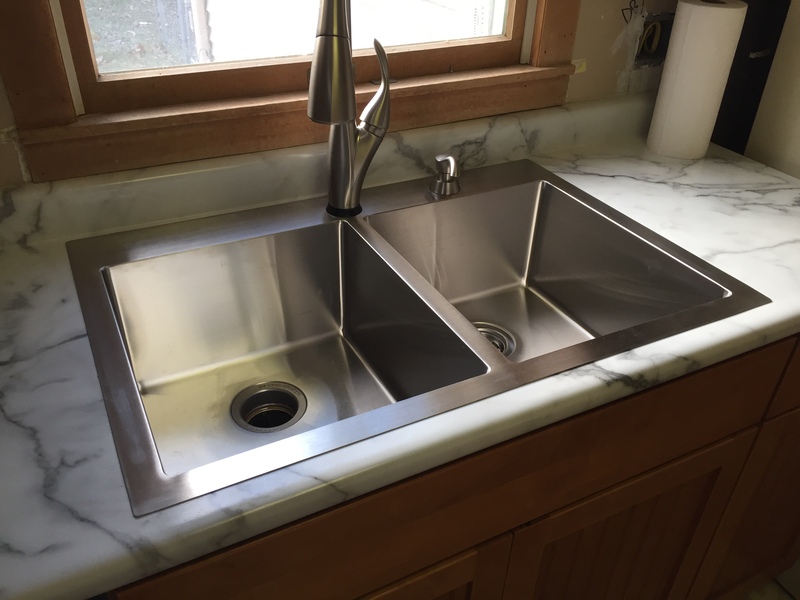 The counter top is a high-resolution laminate called Calacatta Marble, with a high-quality drop-in sink by Franke (9″ deep) and a touch-operated stainless faucet by Delta (Overland). 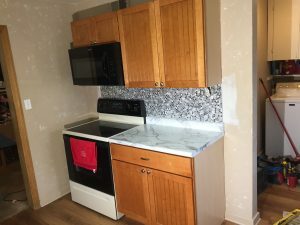 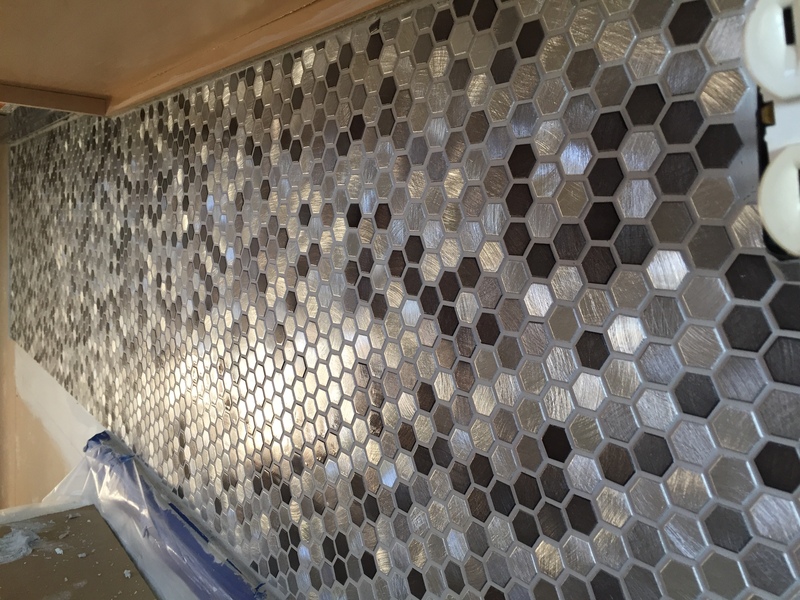 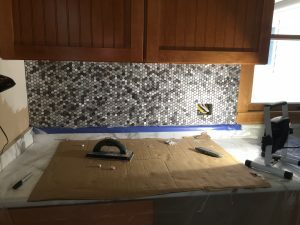 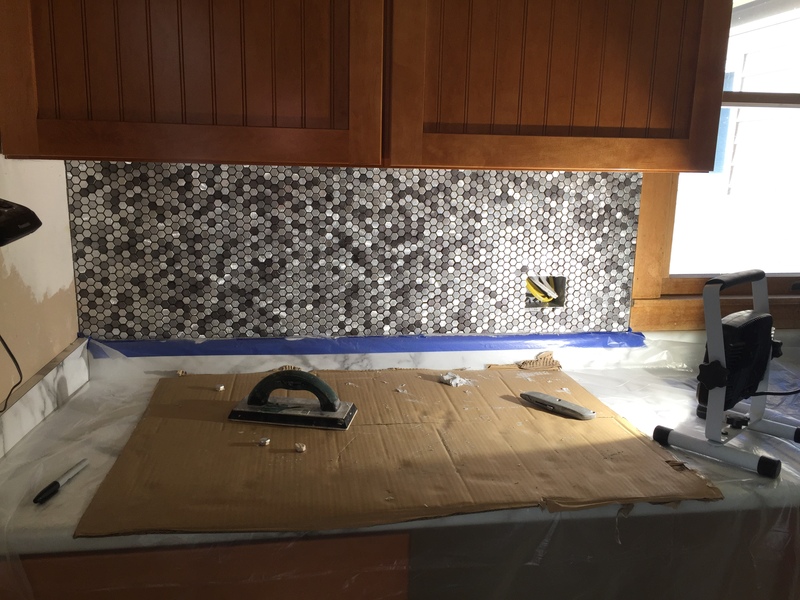 Next step was the mosaic tile backsplash – it is a unique style called Grand Terrace Metallic Medley Hex Metal Mosaic (by Mohawk) – the grout is a light gray Silverado color. 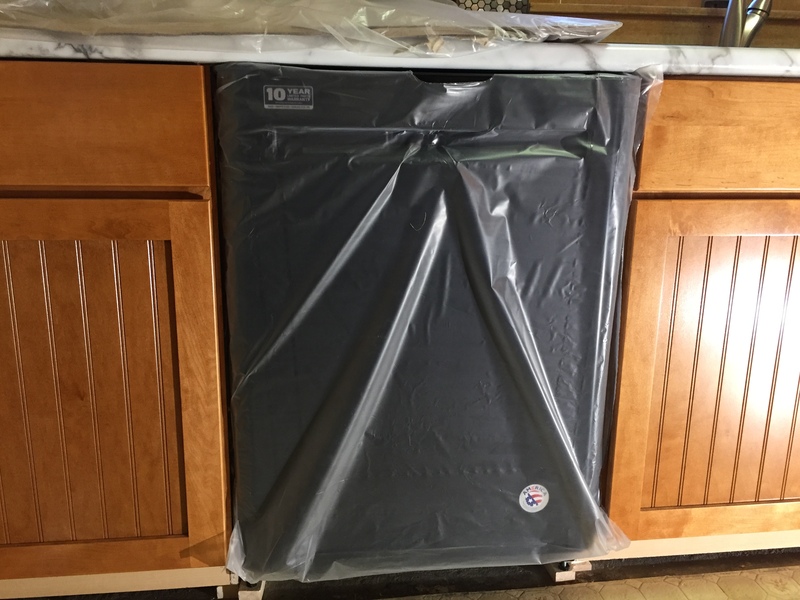 We also installed a brand new Maytag dishwasher, including the rough plumbing (the dedicated electrical circuit was installed by a local electrical contractor, who also rewired the entire home). Where there was formerly an old outdated range hood, we installed a new micro-hood unit by Whirlpool. 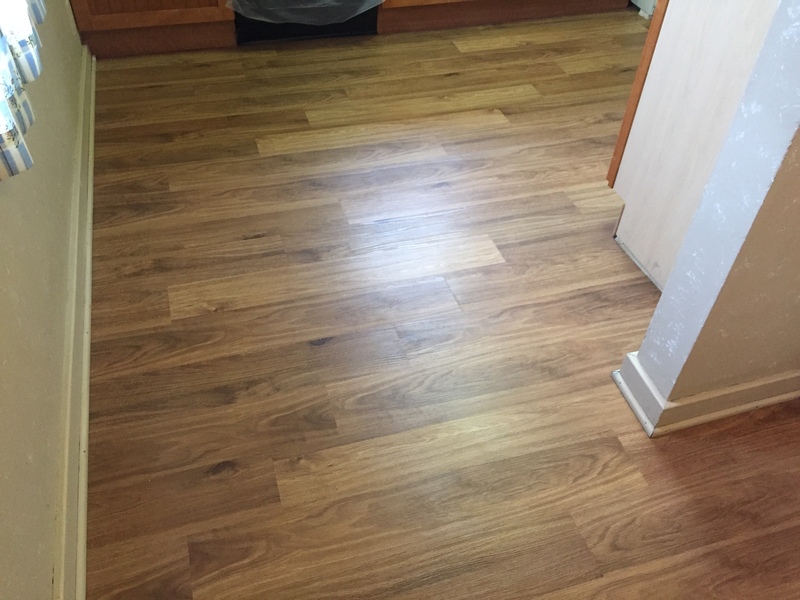 Finally, the new floor covering is a high-performance luxury floating vinyl plank by Designer’s Image. 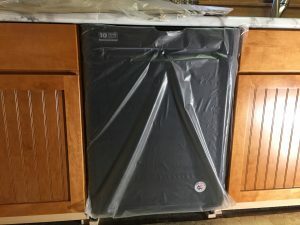 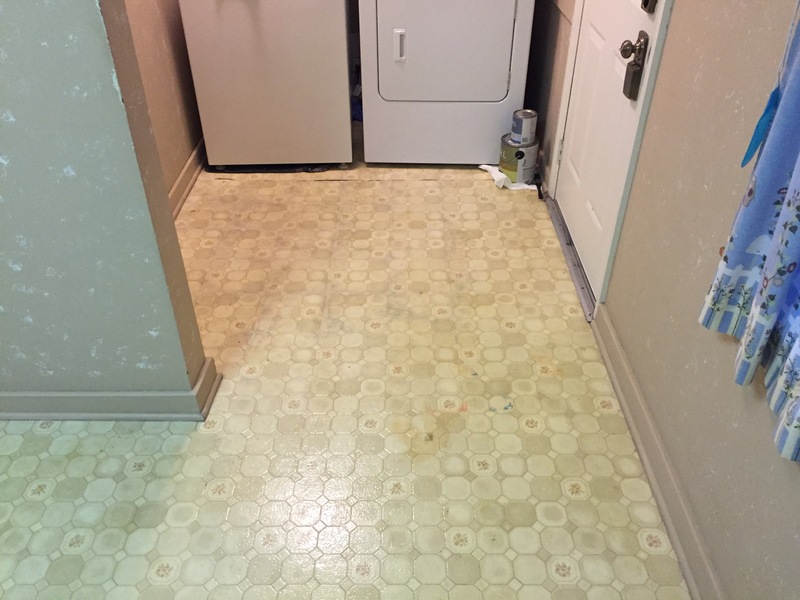 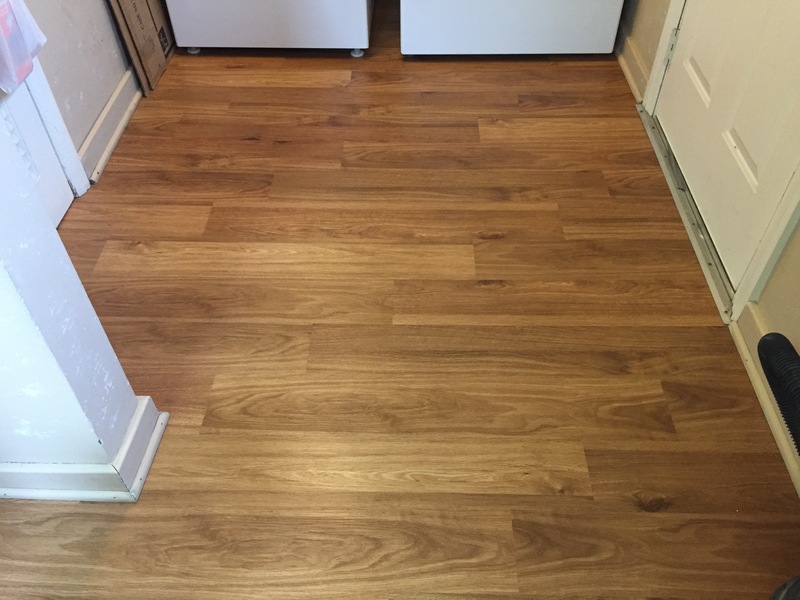 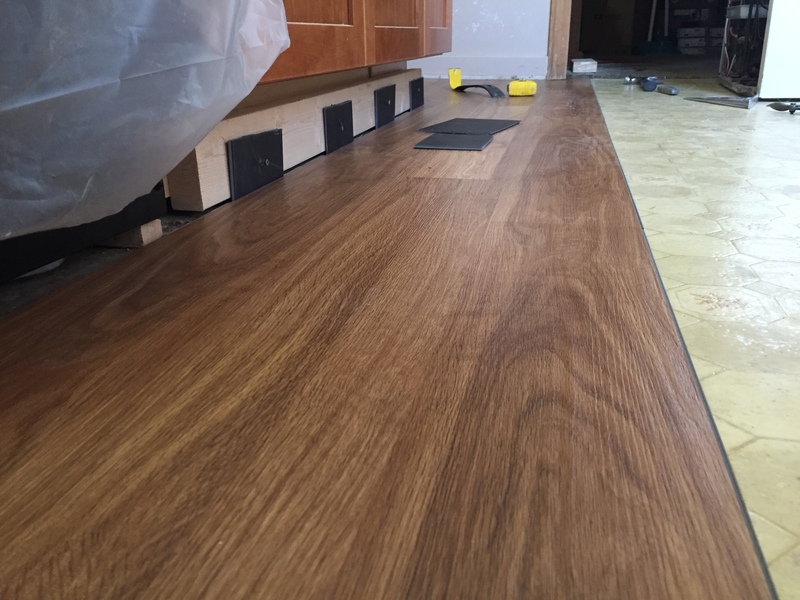 It lays right over the existing floor covering (provided it is uniform, solid, and free from debris) and is 100% waterproof, making it perfect for a water-prone kitchen environment. 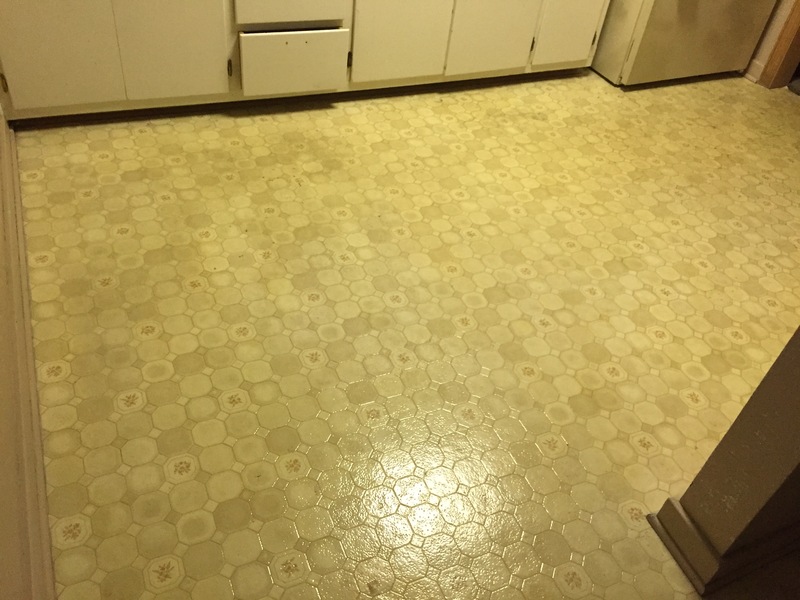 The difference from beginning to end is profound! Give me a shout if I can make your kitchen remodeling dreams a reality: 419-212-3200.